This is the third time we have now stayed at the hotel and every visit has been excellent . Good clean and tidy rooms superb breakfast and all members of staff most welcoming and helpful. The hotel is located in the city center, very close from Opera and main square. 5 min walk from the mill-island and Brda river. Very nice hotel with beautiful and comfortable rooms. Professional and helpful personel. Very pleasant restaurant with really good cuisine. Dear Pioneer, I would like to thank You from all my heart for such a lovely review. It's great way to start another day of hard work by reading review like this. Thank You very much and I hope that we will host You again during next stay in Bydgoszcz. Thank You and have a nice day! The hotel makes you feel like you're at home. Everything is perfect at a very fair price. I like to come back. Good have been very good if the food in the restaurant (Dinner) would have been in an acceptable level, which it was not. I enjoyed my stay and liked the location of the hotel and may stay again in the future. 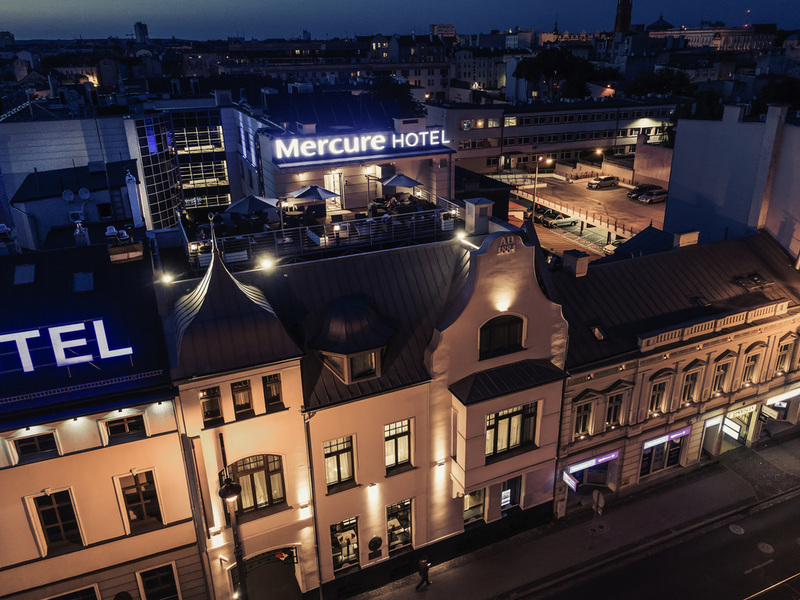 My 4th time at the Mecure in Bydgoszcz and again can't fault the experience, clean comfortable rooms, good food for dinner and breakfast, add in it's central location then it's a winner. Will use again. Dear Guest, I would like to thank You from all my heart for such a lovely review. It's great way to start another day of hard work by reading review like this. It is really important because You were our guest so many times. Thank You very much and I hope that we will host You again during next stay in Bydgoszcz. Thank You and have a nice day! We stayed in a good size room with twin beds, though we found the beds a little too narrow for our liking, likewise the room lighting could be brighter. During our stay all of the hotel personnel were helpful and friendly. Very good breakfast.On arrival, we were greeted by the very charming and professional Martyna, who also helped us greatly when she provided us with very detailed directions and a timetable. Thanks to her help, we arrived trouble free to our place of interest which was quite a distance from the City Centre. We will be back. Dear VS, I would like to thank You from all my heart for such a lovely review. It's great way to start another day of hard work by reading review like this. I'll provide Your comment about Martyna to FO Manager. Thank You very much and I hope that we will host You again during next stay in Bydgoszcz. Thank You and have a nice day! After solving the reservation issue the rest of my stay was very pleasant. The hotel is conveniently located and staff is accommodating. There is a pre-breakfast coffee in the lobby, but when I came to use it it was switched off and the receptionist didn't know how to turn it on, she did however made me a coffee at a different machine. The room service was not ok this time. At 2 days the bed are not make correctly and shampoo and shower gel was and filled new. In the bar the gay means your house wine is only a red wine. The times before i get a white wine as house wine. This is a well appointed hotel with a nice bar, good breakfasts and evening meals. The rooms are well appointed and the hotel is excellently located for walking around town. There is a nice terrace on the fourth floor which is relaxing and give great views of the city. Nick from Derbyshire, U.K.
Dear Nick, I would like to thank You from all my heart for such a lovely review. It's great way to start another day of hard work by reading review like this. I have to fully agree with Your words about roof terrace. Thank You very much and I hope that we will host You again during next stay in Bydgoszcz. Thank You and have a nice day! It is a fairly new hotel, but an impersonal hotel. You do not feel like a guest at the hotel. You come to sleep and nothing more. Last time half night awake because there was a party going on with very loud music. I had explicitly asked for a quiet room. This is really the last time I've been there. I slept there three times, but never again! Dear Guest, I'm really suprised about Your opinion. To be honest, our staff is always getting the highest rates on all online booking portals, also on Tripadvisor. Also You didn't indicate what extacly the personel did wrong. I would like to say that we are very sorry about inconvenience regarding to laud music. I hope that regardless of this situation You will choose our venue during Your next stay in Bydgoszcz. Have a nice day! It was really great and I love the fact they upgraded me to a better room.